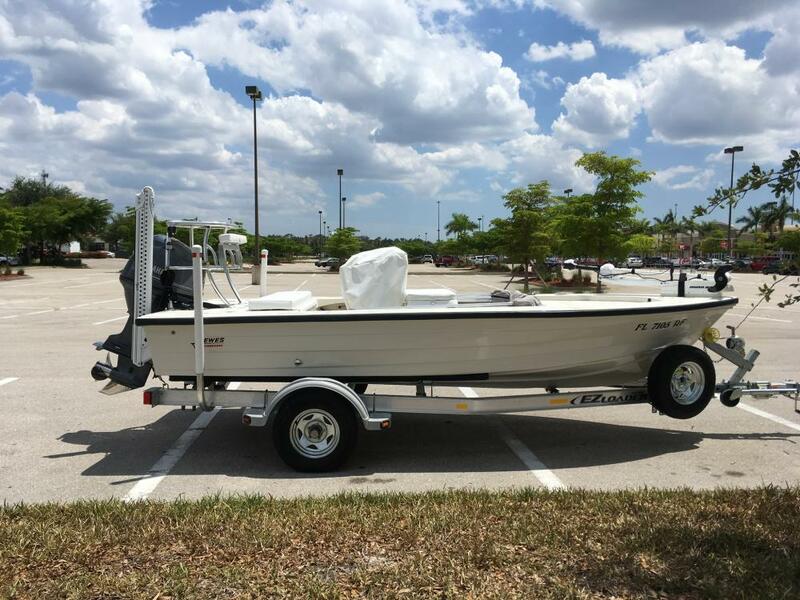 The story starts in 1992 when I ordered my first Hewes from Central Florida Marine in Maitland, Florida. 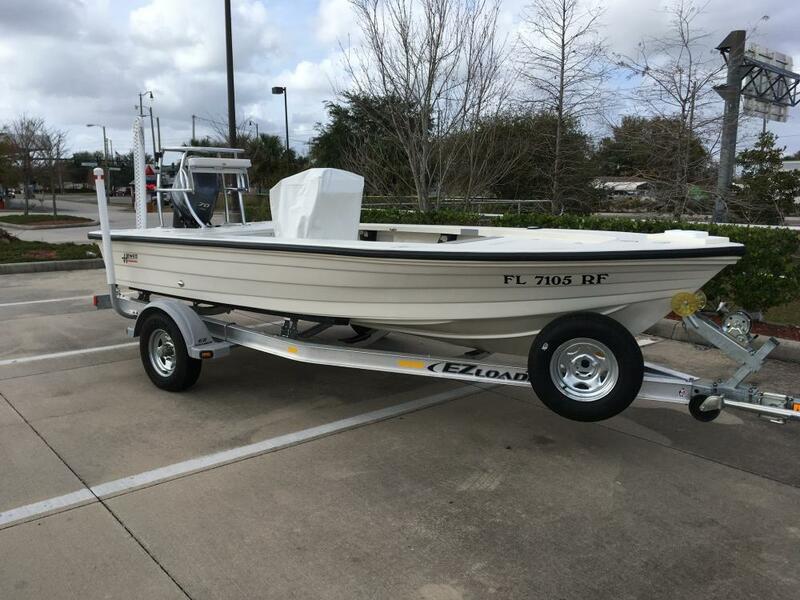 The first Hewes was a built to order 1992 Hewes Redfisher 18. 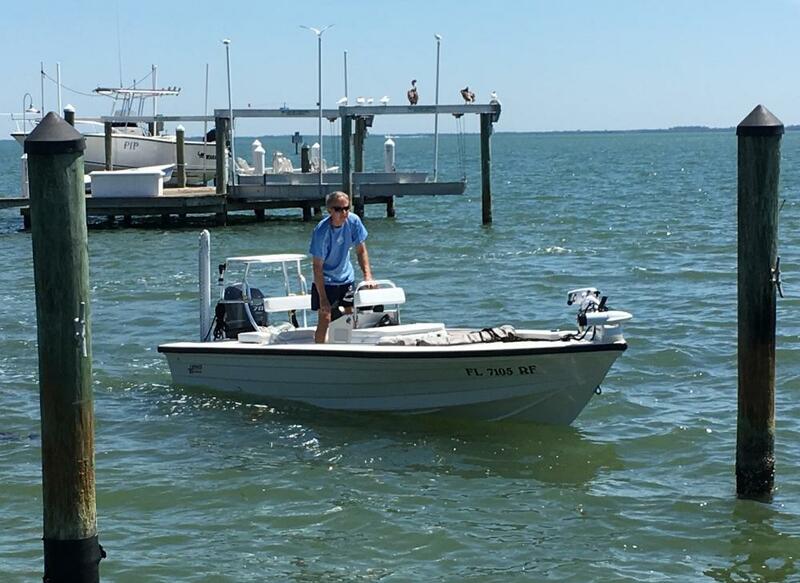 What followed over the years since included Maverick, Pathfinder and the last of the lappy boats with a purchase of a 2001 Hewes Bonefisher 18 Kevlar series. I tried to buy the last boat back....not a chance, so I commenced a search for a classic Hewes lappy which ended during Thanksgiving weekend in Charleston, SC with the purchase of a 1992 Hewes Bonefisher 16 (family passed down from one generation to the next). 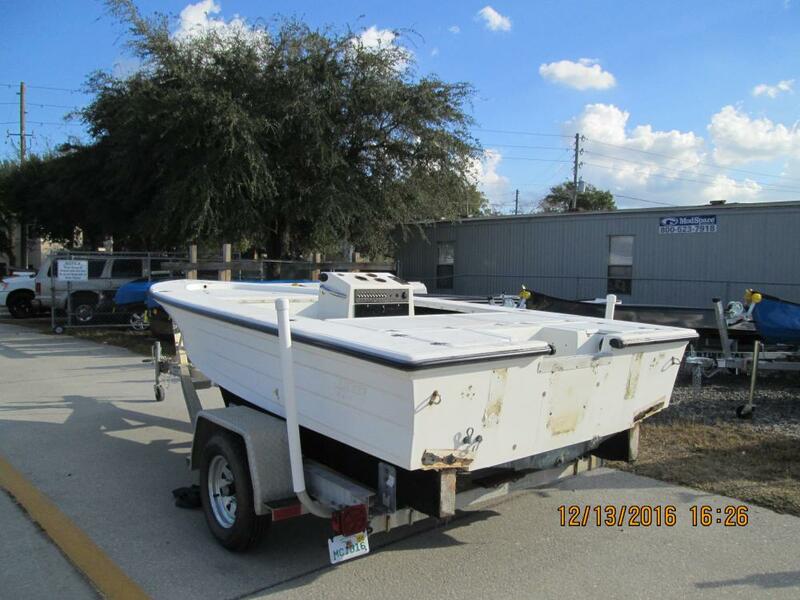 The rehabilitation started in late January 2017 with delivery of the boat minus rigging to Deno Marine in Tampa for fiberglass work, new fuel tank, console, prepping and painting. 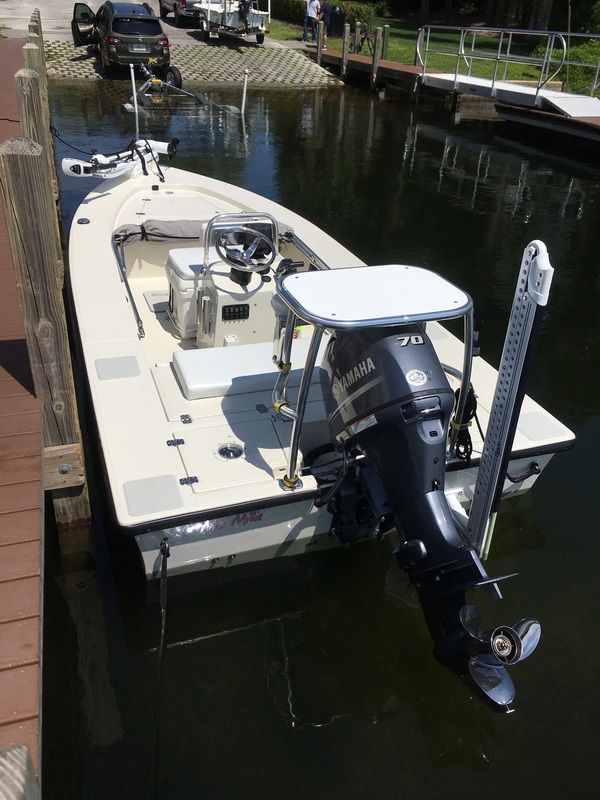 Central Florida Marine in Maitland installed the new Yamaha 70, all new rigging, and new E Z Loader trailer. 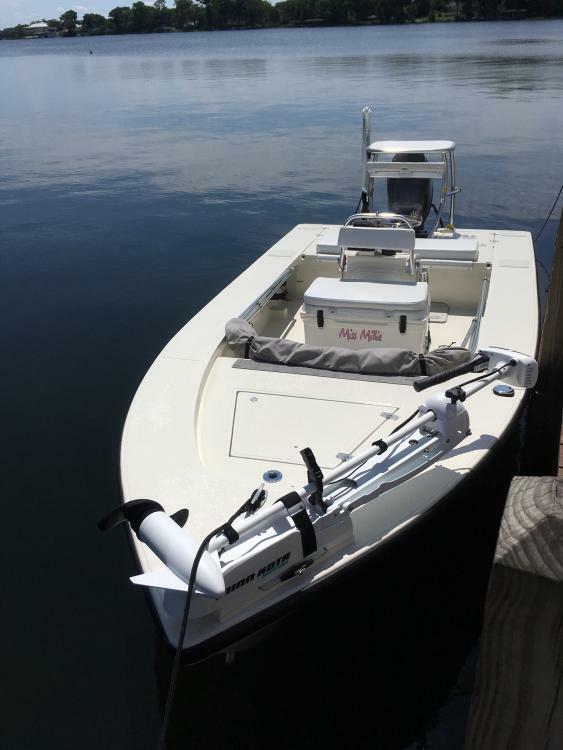 Blue Point Fabrication in Titusville installed the new poling platform/seat back, console hand rail/seat back, and the floor rack for the cooler seat. Paul at Central Florida Marine installed the new bimini top. Installed new Power Pole 8 ft Blade. Early January 2017 Ready for Deno Marine. 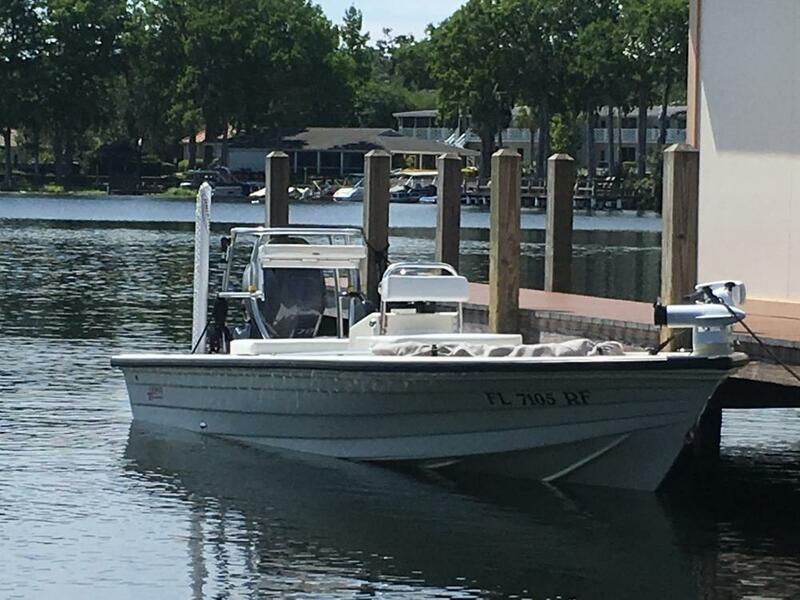 Central Florida Marine Ready for Engine Install (June 2017). BTW.... the 3.5 inch diameter aluminum disc produced by Heiclaire.com shown is installed over a former hole forward of the retractable bow cleat. Beautiful boat! 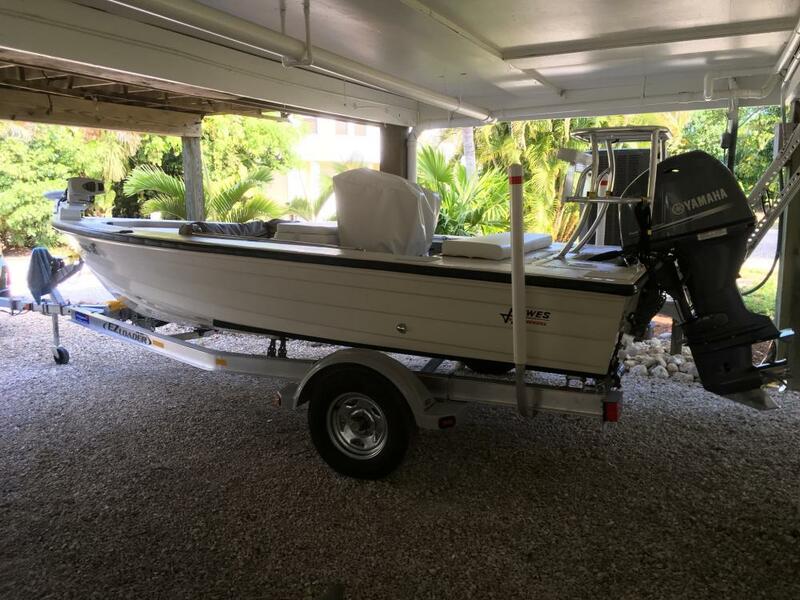 just purchased this same boat (1993 hull) up in crystal river. I think I’m gonna follow your lead and have Deno Boatworks help me restore my hull. just curious, how does that 70hp Yamaha run on that boat? What kind of speeds are you getting with it? I like this motor. Plenty of power for use. Very efficient and light. Suggest that you shop at least three places for fiberglass and painting. Get a written quote with details of work to be completed and payment schedule. Started at Thanksgiving 2016, finished September 2017. Absolutely beautiful work! I imagine the registration numbers deserve to be in gold leaf! I give most of the credit to Gordon and Rick at Central Florida Marine in Maitland, with great appreciation for the fine work by Blue Point Fabrication in Titusville. Advise anyone to think and seek advice on whether to buff, paint or gel coat the boat. Time and money. Any chance you can message me and give me a few details of your experience with the folks at Deno? 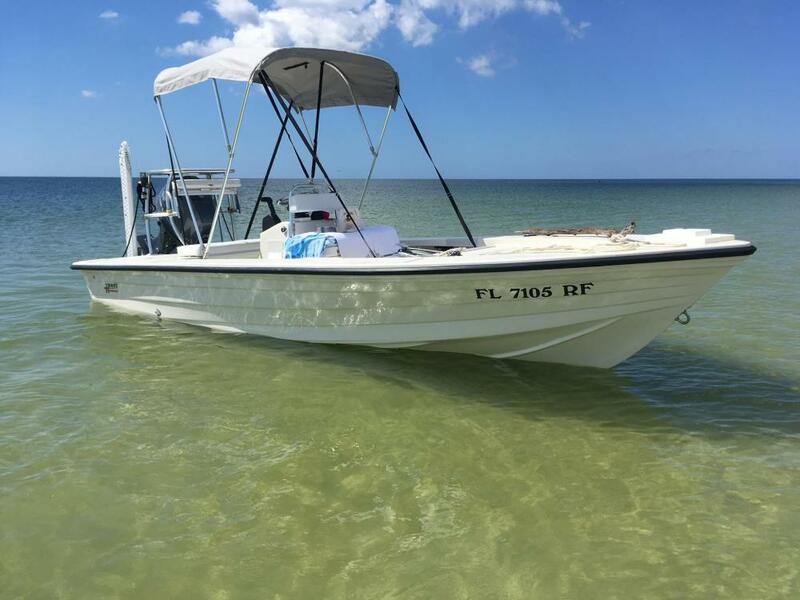 My 93 bonefisher doesn’t need any fiberglass work (that I’m aware of) but I need wet sand and buffing, maybe some gel coat in different areas and I’m considering a new color. Any info you can provide would be very helpful. I sent you a message with contact information. Update on boat . Photos added. Replaced rub rail with new Barbour plastics one piece rub rail with insert.